A Canadian defence contractor will be selling fewer armoured vehicles to Saudi Arabia than originally planned, according to new documents obtained by CBC News. The LAV sale is being scaled back. Critics want it killed completely. That could be a mixed blessing in light of the ongoing diplomatic dispute between the two countries, say human rights groups and a defence analyst. The scaled-back order — implemented before the Riyadh government erupted in fury over Canada's public criticism of Saudi Arabia's arrest of activists and froze new trade with Canada this summer — could make it politically less defensible for the Liberal government, which has argued it's in the country's business and economic interests to uphold the deal. The documents show General Dynamic Land Systems Canada, the London, Ont.-based manufacturer, was — as of spring last year — going to deliver only 742 of the modern LAV-6s, a reduction from the original 2014 deal. The initial order from the desert kingdom was for 928 vehicles, including 119 of the heavy assault variety equipped with 105 millimetre cannons. Details of the agreement have long been kept under a cloak of secrecy. General Dynamic Land Systems, the Canadian Commercial Corporation (the Crown corporation which brokered the deal) and the Saudi government have all refused to acknowledge the specifics, other than the roughly $15 billion price tag. Last spring, CBC News obtained copies of internal documents and a slide deck presentation from 2014 outlining the original agreement. The latest internal company documents obtained by CBC News are dated March 29, 2017, and indicate the agreement had been amended a few months prior, perhaps in the latter half of 2016. The documents also indicate delivery of the vehicles is already underway and has been for months. CBC News asked for a response from both Foreign Affairs Minister Chrystia Freeland's office and General Dynamics Land Systems Canada. Both declined comment over the weekend..
A defence analyst said the amended order likely has more to do with the current state of Saudi Arabia's finances than its frustration over Canada's human rights criticism. "Saudi Arabia — in part because of low oil prices and in part because of corruption and mismanagement of its own economy — has a large budget deficit," said Thomas Juneau, a University of Ottawa assistant professor and former National Defence analyst. 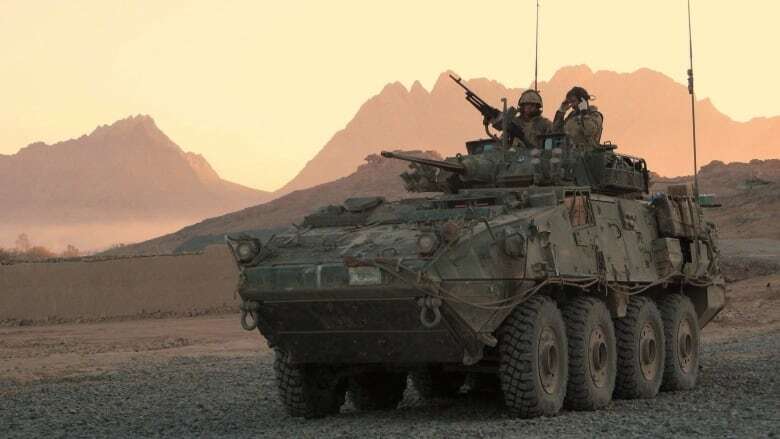 "Spending $15 billion over a number of years for armoured vehicles that it doesn't need that much, at least in a pressing sense, is an easier target for budget cuts, for sure." The kingdom has projected a budget deficit of $52 billion US this year and the country's finance minister said last spring it is on track to cut spending by seven per cent. When it was signed, the armoured vehicle deal was a way for Canada to cement relations with an important strategic partner in the region, said Juneau. Should Ottawa cancel the sale? He said he wonders if it's still worthwhile, in light of the furious diplomatic row that began over the Canadian government's tweeted expressions of concern for jailed activists — and quickly escalated with the expulsion of Canada's ambassador, the freezing of trade, the cancellation of grain shipments and the withdrawal of Saudi medical students from Canadian programs. "Now, with the dust not really having settled after the dispute from August, is that partnership, in abstract terms, still necessary? I think it is. But is it still possible?" said Juneau. Human rights groups say they believe there is even more reason for Ottawa to walk away from the deal now, given the events of this summer and the declining economic benefit. "We're compromising our position on human rights for even less than we thought," said Cesar Jaramillo, the executive director of Project Ploughshares, which has opposed the agreement from the outset. "Even if it's not a huge decrease, it is still a decrease. It should, at least in political and economic terms, make it easier for the Trudeau government to reconsider this deal, especially in terms of the latest diplomatic spat." 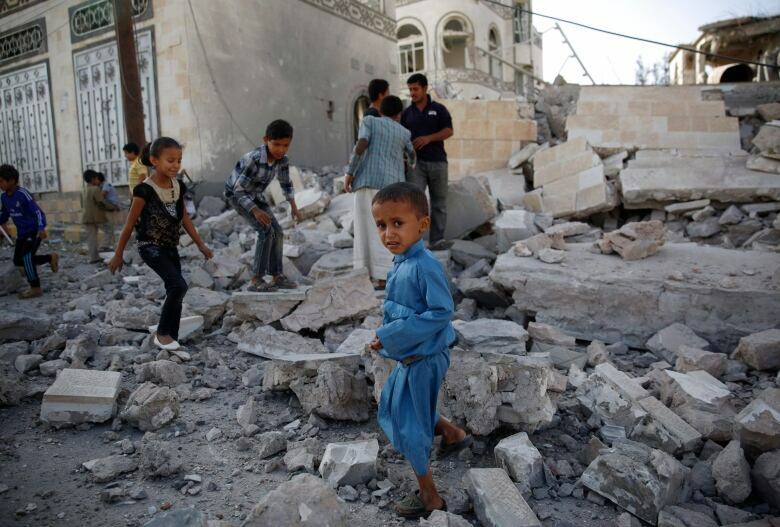 Spain's defence ministry has cancelled sales of laser-guided bombs to Saudi Arabia because of concerns over the kingdom's prosecution of the war in Yemen — something human rights groups have pointed to as an example of an arms deal with the Saudis being reversed. The Trudeau government put a temporary hold on the export permits for the vehicles while it conducted a review following the release of video last year which purportedly showed Canadian light armoured vehicles being used by Saudi security forces against militants in the Shia-populated eastern part of the kingdom. 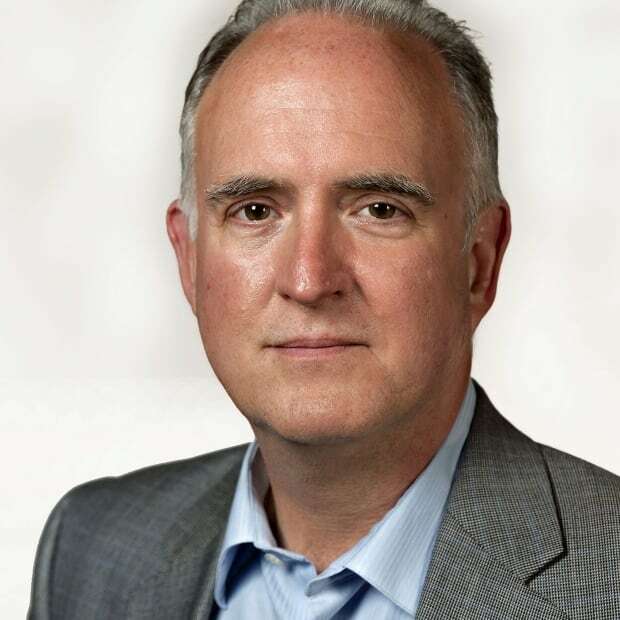 Alex Neve, the general secretary of Amnesty International Canada, said the Liberal government took a "principled stand and demonstrated real leadership" by not backing down in the diplomatic row. "It's hard to square that with our willingness to continue to proceed with this particular deal, which has direct potential to have such horrific human rights consequences on the ground," he said.